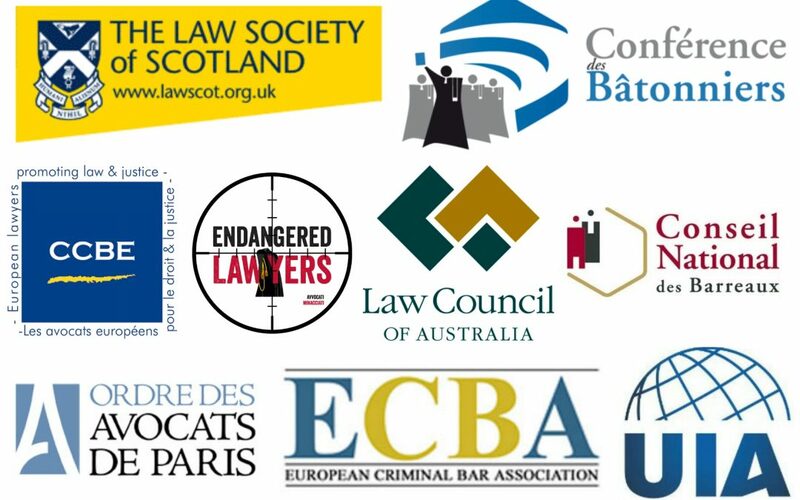 A total of 36 law societies and bar associations from European Union and other countries have released a written statement condemning Turkey’s efforts to reintroduce capital punishment in the aftermath of a July 15 coup attempt. Below is the full text of the statement released on Oct. 20. The undersigned organizations believe that the abolition of the death penalty contributes to the fostering and protection of human dignity and the gradual development of a global culture of human rights. The undersigned therefore condemn, in the strongest terms, any attempt to reinstate the death penalty in Turkey. The undersigned insist on the fact that Turkey is a member of the Council of Europe and a signatory of the European Convention on Human Rights. Consequently, Turkey is bound by Protocols 6 and 13 of the Convention which abolish the death penalty. In Turkey, the last execution took place in 1984. The death penalty was abolished for ordinary crimes in 2002, and finally abandoned on 7 May 2004. In addition, in 2006, Turkey became the 57th State to ratify the Second Optional Protocol to the International Covenant on Civil and Political Rights, aiming at the abolition of the death penalty. Conseil des Barreaux européens, Union Internationale des Avocats, Fédération des Barreaux d’Europe, Association Internationale des Jeunes Avocats, Union des Avocats Européens, European Lawyers’ Association, European Democratic Lawyers (EDL), Day of the Endangered Lawyer Foundation, Legal Affairs Association (Retspolitisk Forening), European Young Bar Association, European Association of Lawyers for Democracy and World Human Rights (ELDH), European Criminal Bar Association, Australian Lawyers Alliance (ALA), Law Council of Australia, Österreichischer Rechtsanwaltskammertag, Ordres des barreaux francophones et germanophone de Belgique (AVOCATS.BE), Orde van Vlaamse Balies, Czech Bar Association, Danish Bar and Law Society, Ordre des avocats de Paris, Conseil National des Barreaux, Conférence des Bâtonniers, Deutscher Anwaltverein, Bundesrechtsanwaltskammer, Neue Richtervereinigung, Barreau du Luxembourg, Amsterdamse Orde van Advocaten, Consejo General de la Abogacía Española, Sveriges Advokatsamfund, the Slovak Bar Association, le Barreau du Québec, the Law Society of England and Wales, The Bar Council of England and Wales, The Law Society of Northern Ireland, The Bar of Northern Ireland, The Law Society of Scotland and The Faculty of Advocates.